More: What do you with a problem like Rashida? Like many of you, I was both skeptical and curious when Parks and Recreation premiered last spring. From the minds behind The Office, and at one time referred to as the Office spin-off, the pressure was immense, as would be the scrutiny. Could producers Greg Daniels and Michael Shur strike gold twice? Could they take the same faux-documentary format, change the setting to local government instead of a paper factory, insert Amy Poehler for Steve Carell and have the same success? Even if it was funny, would it still just be an Office knock off? I watched the first episode (well, to be totally honest, half-watched on Hulu while folding laundry) and found that it was only sorta funny and announced many comparisons to its predecessor, match-ups that it surely lost. So it was a good effort, not great, but I knew that as long as it would be seen as the step-sister to The Office it wouldn’t fare favorably. After the premiere I became preoccupied with preparing for my move out west, and didn’t catch the subsequent episodes. When I arrived in LA I found that my new roommate had recorded the finale for me, thinking that I would want to see it (what a sweetheart). Well, I didn’t want to watch it without seeing the previous episodes, so I let it languish on the DVR, hoping/expecting that NBC would rerun episodes 2-5 during the dog days of summer. And one day I turned on the TV and there it was, episode 2, “Canvassing.” And a funny thing happened. It was funny. Not just amusing like the pilot, but actually funny. Viewings of the following episodes confirmed this feeling, the show continued to improve and my affection towards it grew. It found a better rhythm; the whole cast was more involved; Amy Poehler’s Leslie Knope began to feel like a real character with Michael Scott potential; Aziz Ansari was consistently hilarious as the cunning Tom Haverford; and Paul Schneider brought the charm he flashed in David Gordon Green’s All the Real Girls, but now as a fully grown man, the sanity inside Pawnee Parks and Recreation Department. And I thought to myself if only it wasn’t compared to The Office then people would see that it’s actually worth watching. But then I changed my mind. 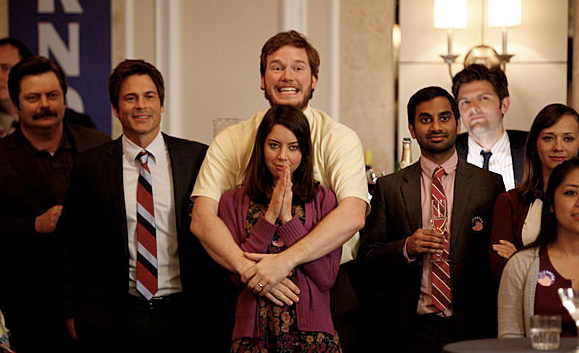 I belive that Parks and Rec actually might fare better when viewed through the prism of The Office. When we think of The Office now usually forget that it struggled through six middling episodes as a mid-season replacement in the Spring of 2005, and it wasn’t until midway through the second season when it really found its stride and started hooking viewers. So with that in mind, isn’t it only fair to give Parks and Recreation the benefit of the doubt? It has a brilliant actor playing well meaning but flawed leader, surrounded by a talented cast. And like The Office, it has a romance. The inter-office sparks between Poehler’s Knope and Schneider’s Mark Brendanawicz might not have the same weight or emotion of Pam and Jim, but it has its unique charms, and should ground the show as it progresses in season two. 1. 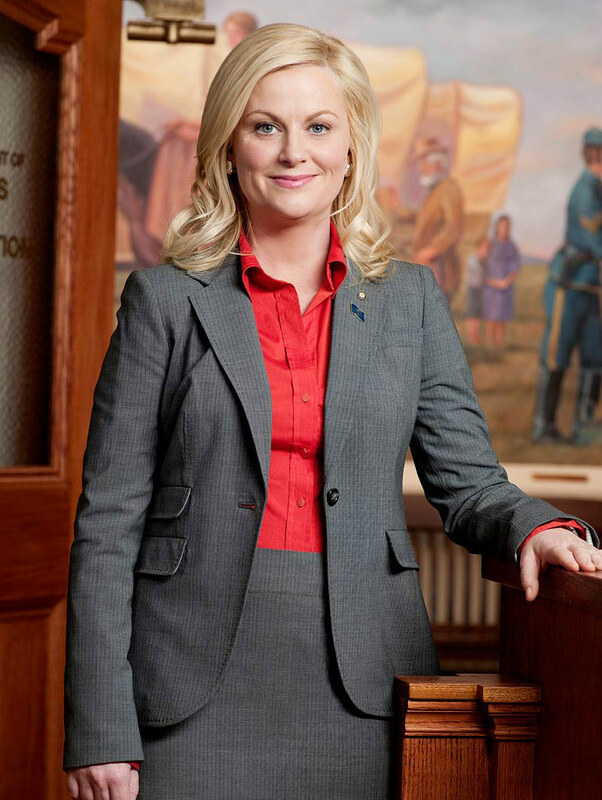 Like Michael Scott, in the end Leslie Knope needs to maintain believability. She can say and do dumb things, but ultimately there has to be a reason for her to be in the position she’s in, and we have to be able to get behind her. Michael Scott is an oblivious, tasteless buffoon, but he’s proven time and again to actually be an effective salesman, and this allows us to accept his flaws. So every once in a while Leslie needs to win one. 2. Continue to develop the supporting cast. In The Office‘s second season the scope expanded past Michael, Dwight, Jim and Pam to include the colorful characters around the company. In its brief run Parks and Recreation has already began to do this, but they need to stay on the path. 3. Perhaps most importantly, figure out what to do with Rashida Jones. Jones is a beautiful actress and a wonderful comedian (and daughter to Quincy Jones. Just needed to say it. ), and as The Office‘s Karen Filippelli she proved that she can create a compelling, rich character (she somehow managed to take a person whom we should have hated, Pam’s replacement, and made her likable. No easy feat). But so far on Parks and Rec, as nurse Ann Perkins, I feel like she’s been somewhat wasted as Knope’s sidekick and straight man, as well as stuck in a hard to swallow relationship with her crippled, lay-about boyfriend (Chris Pratt). In last season’s finale it seemed like Ann would be making some changes, and for the show’s sake I hope this means that Jones will be given better material with which to demonstrate her considerable talents in the upcoming season. 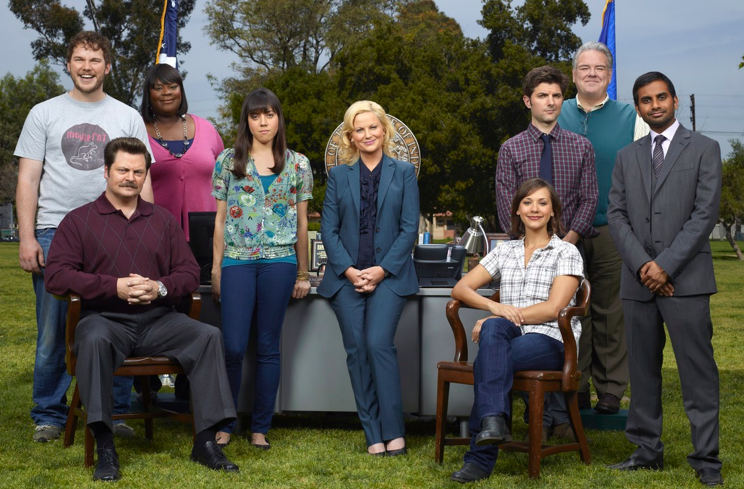 Parks and Recreation isn’t The Office yet, not by a long shot. But it shows promise. And I think it deserves a chance, just like the one we gave its forefather. And then, who knows, maybe in a few years we’ll be talking about a Parks and Recreation spin-off (later changed to a faux-documentary set in a Teacher’s Lounge). And check out TV Gal’s similar take on the show (just below her Bones preview). Oh, and Parks and Recreation returns tonight at 8:30pm, just after the season premiere of Weekend Update Thursdays (featuring the (temporary) return of, yes, Amy Poehler).